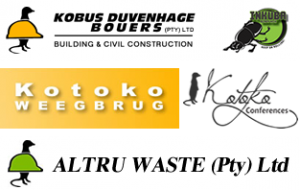 Kobus Duvenhage Bouers is a multi-disciplinary company of exceptional construction marvels that are testimony to our striving focus towards master building perfection. The cornerstone of KDB’s operations are personal service, priding itself in the capacity to tackle large and small construction projects, while still taking an individual interest in each client. Kobus Duvenhage aims to deliver a service of outstanding quality and valuable lasting relationships with honourable clients.